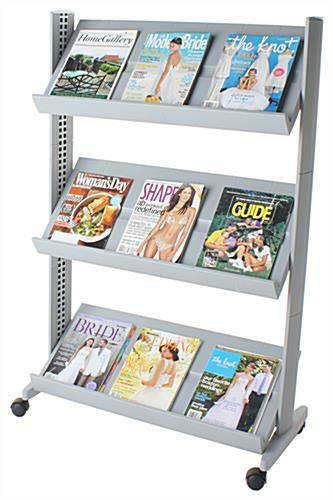 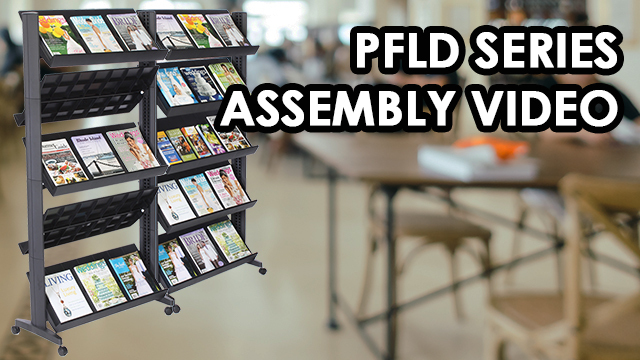 This portable 3-shelf silver plastic information stand is a versatile acrylic fixture with adjustable shelving and durable caster wheels. 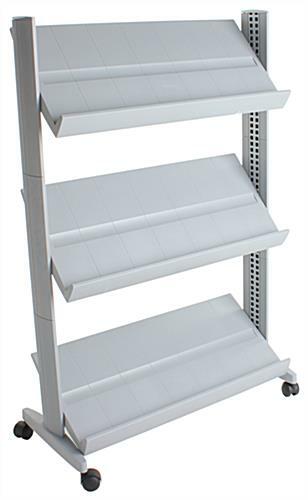 The shelves can be set to three different display anges and different heights as needed. 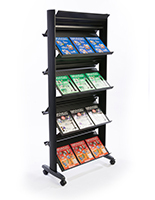 This freestanding silver plastic information stand is perfect for use in libraries, waiting rooms, at conferences and more. 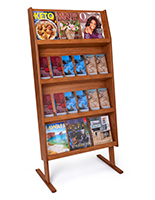 The versatile design allows the pockets to face in either direction for a double-sided magazine rack as needed. 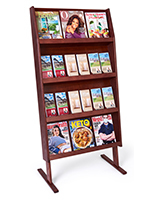 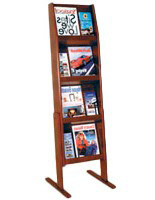 The freestanding molded ABS plastic information stand with 2" wheels is also easily moved from place to place as needed. 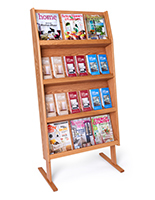 The multi-pocket fixture can be used as a retail or commercial display or even trade show accessory. 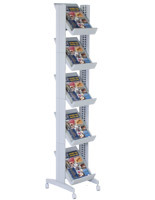 25.3" x 49.5" x 15.0"
30.8" x 13.5" x 1.8"